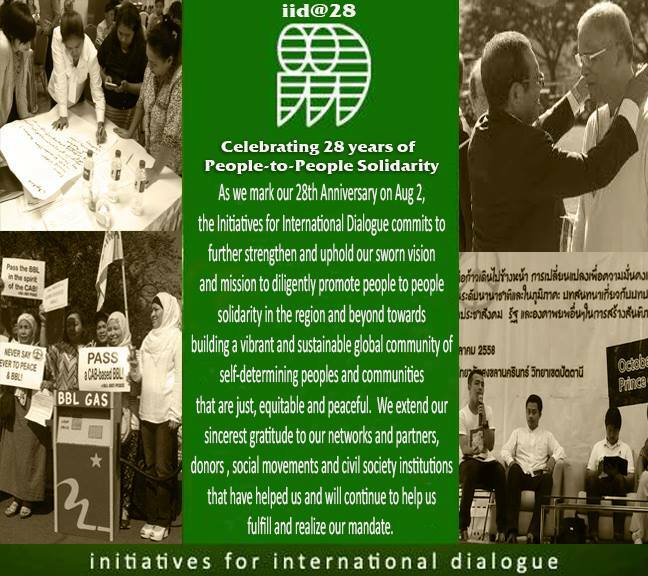 Established in 1988, the Initiatives for International Dialogue (IID) is a Philippines-based advocacy institution promoting human security, democratization and people-to-people solidarity. IID conducts policy advocacy and campaign programs on Burma, Mindanao, Southern Thailand, West Papua, and East Timor. It established the Asia-Pacific Coalition for East Timor (APCET) in 1994 that spearheaded a regional people’s solidarity movement for the then occupied nation. 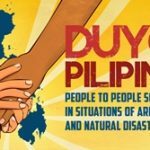 IID is also the secretariat of the Asia-Pacific Solidarity Coalition (APSOC), Global Partnership for the Prevention of Armed Conflict – Southeast Asia (GPPAC-SEA), and the Free Burma Coalition (FBC) –Philippines. IID is a co-founder and steering committee member of the Alternative ASEAN Network for Burma (ALTSEAN-Burma) and the World Forum for Democratization in Asia (WFDA); a working group member of the Burma Partnership (BP) and was a lead member of the National Organizing Committee of the Philippine Parliamentarian Caucus on Democracy in Myanmar. IID is also Founding Steering Committee member of the International Coalition for the Responsibility to Protect (ICRtoP).